Most would think Tile is easier to clean than carpet. But, as it turns out, cleaning tile not too easy. In fact, tile & grout cleaning in Moorestown, NJ requires intensive work and careful attention to prevent mold and mildew from appearing. Tile on its own is not difficult to clean. This is because tile has a non-porous surface, making it resistant to stains and dirt. However, the grout in-between individual tiles are porous and susceptible to dirt and grime. To prevent dirt, mold, and mildew from collecting on grout, turn on fans in normally damp places like bathrooms. The water vapor left in the air from a shower will encourage the growth of mold, which is why leaving fans on to absorb excess water in the air is important. In the unfortunate event that you are unable to prevent dirty grout, it will be up to you to do your own tile & grout cleaning in Moorestown, NJ (unless you want to pay for a professional cleaner). Lucky for you, cleaning grout is not impossible. Simply spray the grout with hot water and then apply a mixture of vinegar and water. Once you do this, begin carefully scrubbing the dirty areas with a toothbrush. If you already diluted bleach or a grout cleaner, use those instead of vinegar and water. These types of commercial cleaners must be used according to the instructions provided (if they give instructions on proper usage) to prevent erosion of the tile. If you own stone tile or porous tile, make sure to use peroxide and baking soda instead of vinegar because vinegar may ruin your tile. Always make sure you rinse off tile and grout to prevent any damage. After cleaning, let the grout dry for a day and then use a grout sealer. 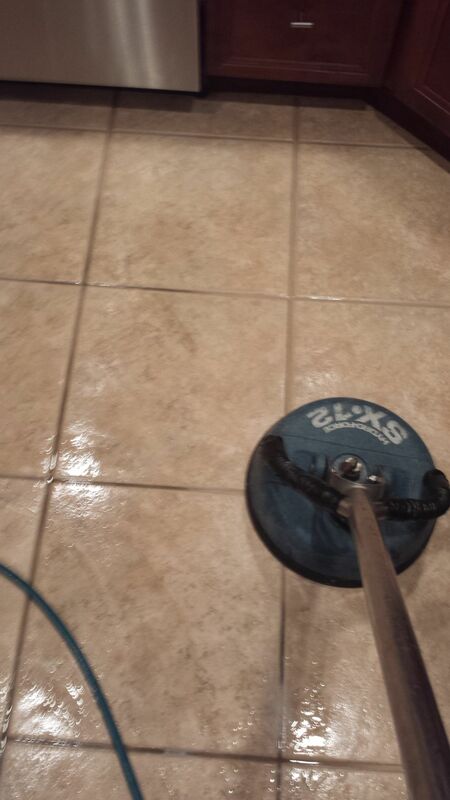 The sealer will help prevent dirt and mold from collecting on your grout. So, if you don’t have the time give us a call and we will be happy to take care of it for you.